Heat oil in a large skillet set over medium-high heat. Cook bacon for 2 to 3 minutes or until crispy. Add garlic and cook for 1 minute. Add mussels and wine. Cover and cook for 4 to 5 minutes or until mussels have opened. Stir in pasta sauce; cook for 2 to 3 minutes or until heated through. Stir in parsley. 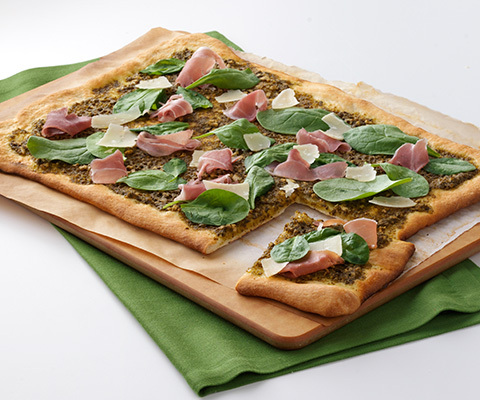 Serve immediately with cooked pasta or crusty bread, if desired. Just as delicious with Classico® Fire-Roasted Tomato & Garlic Pasta Sauce. To clean mussels: scrub mussels to remove exterior dirt and pull out any beards. 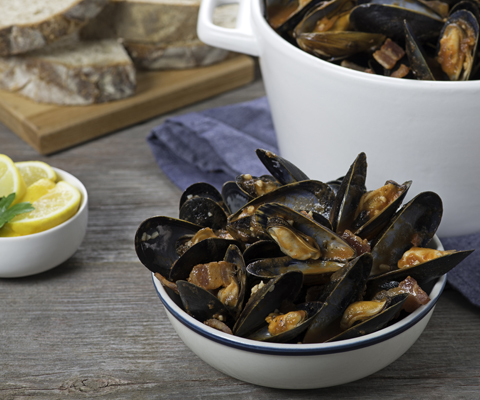 Discard any mussels with cracked shells and any with open shells that do not close when lightly tapped.